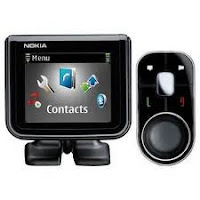 Nokia Display Car Kit CK-600 is compatible accessories for your Nokia mobile phone which can be used inside your car. Car Kit CK-600 can connect to your phone so it can make your trip more enjoyable and exciting. In addition, the Nokia Display Car Kit CK-600 allows you to conduct a phone conversation without needing to use or install hands-free facility, and keep your hands can freely control the speed of the vehicle. Install the Nokia Display Car Kit CK-600 in dash car to play music from files on your phone device. These accessories will look fine if installed on the dashboard of your car with a rich display of color and you can easily set. When a call comes in, this screen will help to see clearly who is contacting you without using .....?